Today I'm sporting my favorite holiday red of 2014. What's Your Point-settia from the Gwen Stefani for OPI 2014 Holiday Collection is a beautiful red cream...not too cool and not too warm. The formula is perfect. I got smooth, complete coverage in two easy coats. 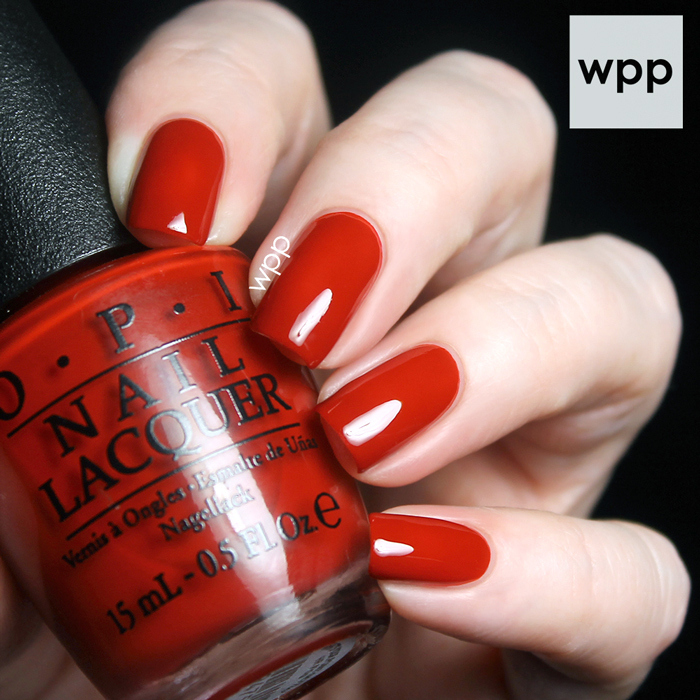 I love red polish in the winter, don't you? I didn't want to complicate the mani too much, so I added a single chevron accent nail using two other colors from the same collection: Rollin' in Cashmere (gold) and Unfrost my Heart (silver). 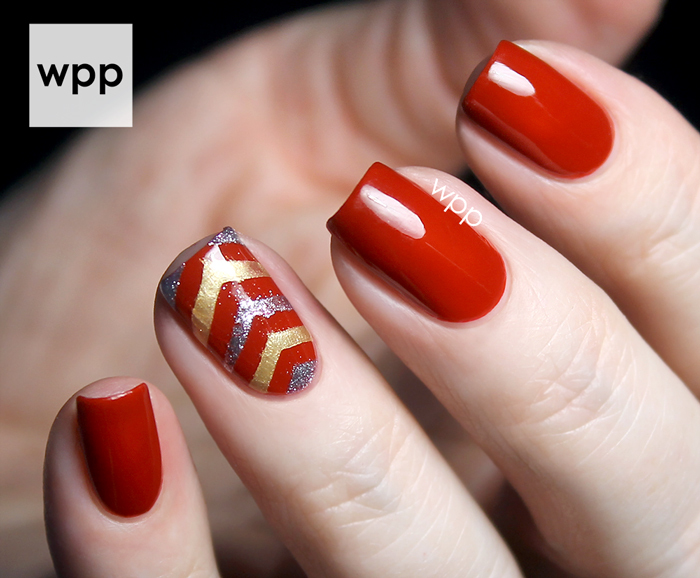 I used KBShimmer Single Chevron Nail Decals as guides. Super easy! My topcoat smeared the metallics a bit, but I don't mind the extra sparkle. This collection has so many great colors. Instead of swatching them all, I'm going to create a few different nail art looks, so stay tuned. 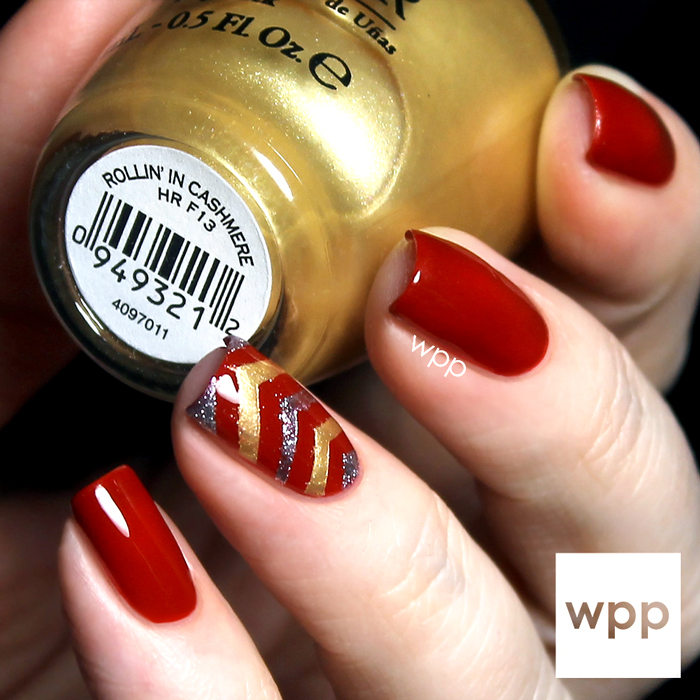 The Gwen Stefani for OPI 2014 Holiday Collection is available now at Professional Salons, including Beauty Brands, beautybrands.com, Chatters, Dillard’s, Regis, ULTA and ulta.com for $9.50 ($11.50 CAN) suggested retail for each nail lacquer. For more information, visit www.opi.com and follow OPI on Twitter and Instagram and Facebook.